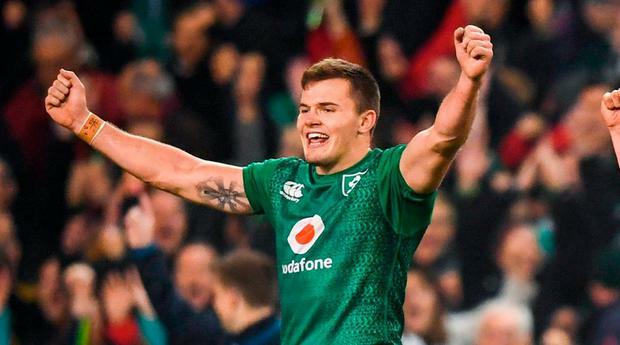 RTE will broadcast 14 live matches from Rugby World Cup 2019, including all of the games involving Joe Schmidt's Ireland. RTÉ and eir sport have reached a sub-licencing agreement between the two broadcasters in relation to Rugby World Cup 2019. The deal sees RTE secure rights to all of Ireland's games, all of the games from the knockout stages and 16 nightly highlights packages. As the primary rights holder eir sport will broadcast all 48 games live, including all of Ireland’s matches, and a daily highlights show. Ireland will go into the tournament as one of the leading favourites to lift the Webb Ellis trophy after a year that saw them win the Grand Slam, a series victory in Australia and a first victory over New Zealand on home soil. Declan McBennett, group head of RTÉ Sport said: "The Rugby World Cup looks set to be a very exciting tournament next autumn and we are delighted to come to this agreement with eir sport to ensure that Irish audiences have a free-to-air front row seat to such significant games including all of Ireland’s games, the knockout stages and the final, on TV and online."